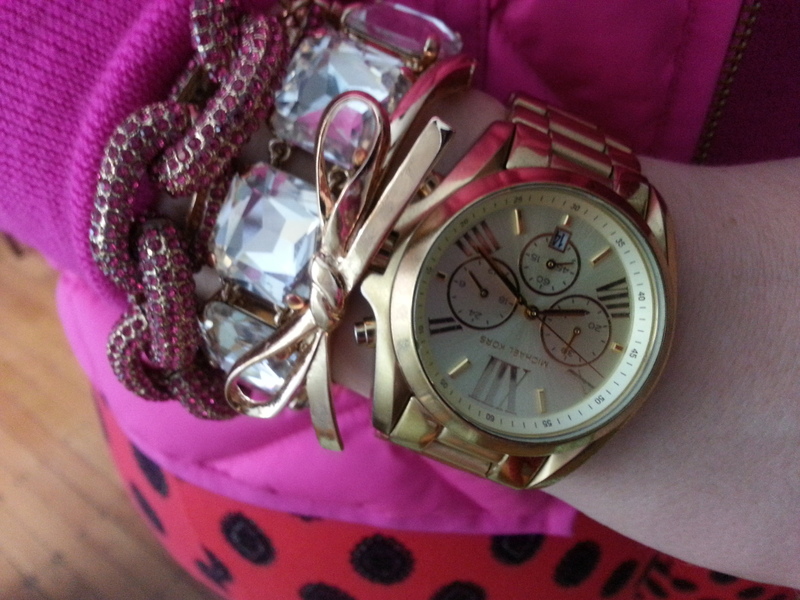 With me, there’s always color or more color (when I’m not on a total neutral bender which often happen on the weekends). 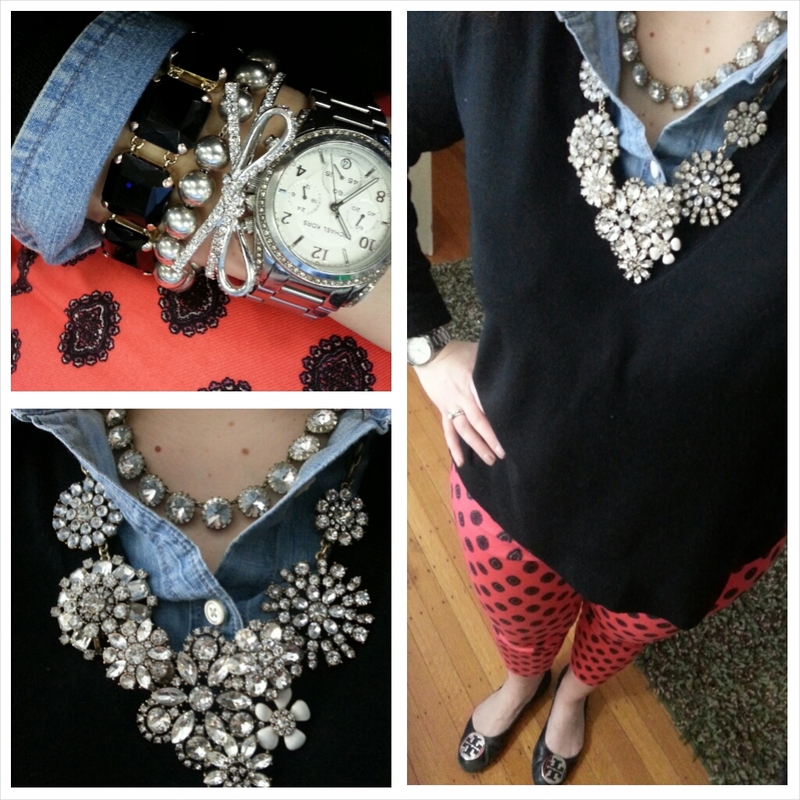 After seeing the J.Crew Minnie Pants in Medallion print on other ladies on Instagram, I decided I had to try them out. I am admittedly not a huge fan of orange but seeing them styled a few different ways and realizing they were really more on the coral side of things, I decided to try them out. 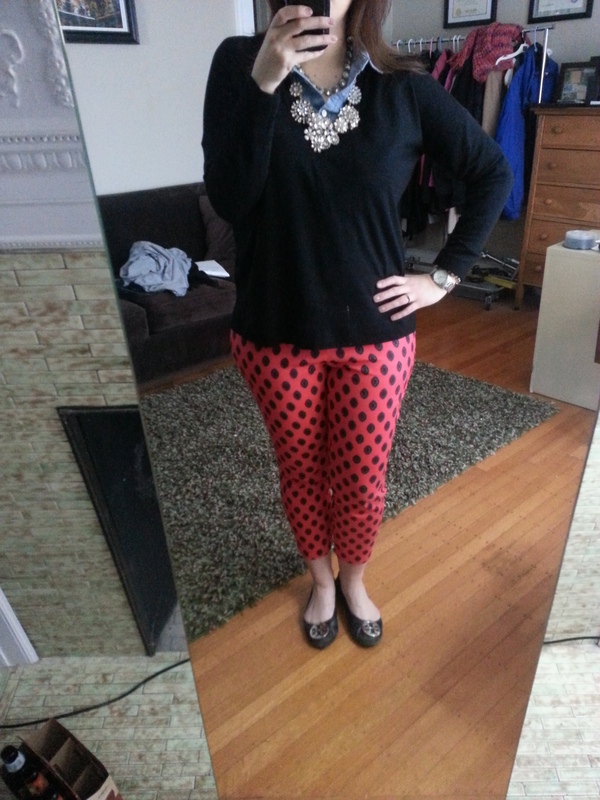 Well…suffice it to say I have another fun pair of printed pants in my collection! Now, how to style them! One would probably suggest that they need to be toned down…which I would agree with but, come on, I wouldn’t be me if I didn’t pair them at least once with a bright color. Cue my Valentine’s Day outfit (ok, so I’m a month late posting…) I’ll be honest, if it hadn’t been Valentine’s day, I’m not sure I would have rocked this outfit. Maybe…but I can’t say for sure. Let’s just say nobody missed me that day! 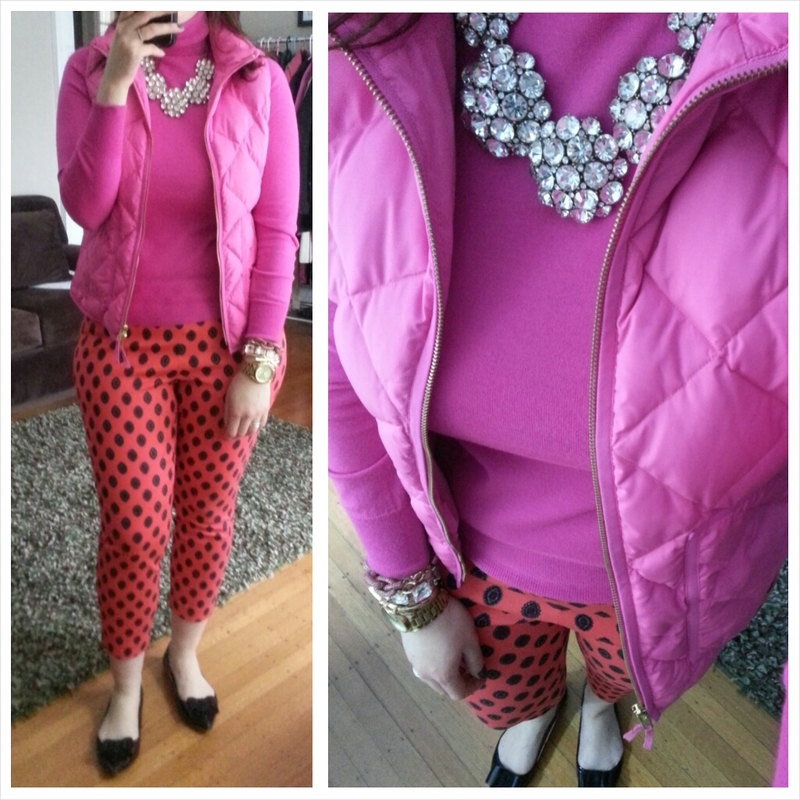 If I had wanted to tone this outfit down, I would have swapped the pink vest for a black blazer (that’s how I started out). The top down shot can be a little deceiving so here’s the front on shot. I have to say, this is probably one of my new favorite outfits! I look forward to wearing it again! So, which of these is your favorite? Do you like these pants paired with another bright color or toned down with black and chambray? Would love to hear what you think and thanks for visiting!! You are so brave! I think I would be too nervous for a pant this bold. But you pull them off in not one, but two great looks! How do you like the Minnie pants? My VPS keeps telling me I need them but I have been a bit skeptical about how tight they seem as I don’t want anything too tight for work. We don’t have a B& M store in my town so I do my shopping online. Thanks for sharing! you are too sweet!! I’ll be honest, I was hesitant with these…I will probably wear them more with the “toned down” look…The solid ones I’m iffy about…the side zip can be tricky and they are a more form fitting pant. I found that these were not as slim as the solid ones I have and I usually try to wear a looser top with them, not one that I would tuck in (just more comfortable covering my hip/lower stomach section in these pants with the side zipper and waistline. I actually just ordered the diamond minnies in a size up from my usual size (that was all they had left) and they’re due to arrive next week – I’m curious to see how they fit a little looser or if it will be way off. For me, they’re definitely Friday pants…I feel they’re inherently more casual with their cut and style, probably because I can’t personally do a button-down/blazer or more form fitting sweater with them. Make sense? feel free to drop me a line if you need to chat further! thanks again for stopping by and for all the love! Do you mind me asking how they fit? I normally size down in the Minnies due to the stretch, but I’m not sure how stretchy these are compared to the solid colors.